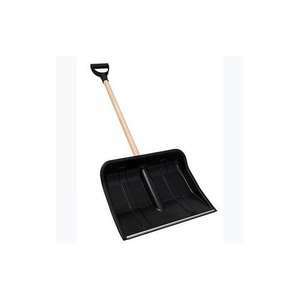 Good sturdy shovel with soft grip handle. Not sure they were worth the £10, but did consider it when it went to a fiver. Glad I waited, as they are now trying to get rid of them for £2.50. Even it there's not much more snow this winter, it won't go wrong sticking it in the garage for future use. Still showing as £10 on the Asda Direct site, but it is definitely this shovel. Good find... although I think an Umbrella is the order of the day this winter! Where on earth are you?!! LOL we've not had a flake yet this Winter! "much MORE snow"?! !Where on earth are you?!! LOL we've not had a flake … "much MORE snow"?! !Where on earth are you?!! LOL we've not had a flake yet this Winter! While you are probably 'sunning' yourself, down there in the tropical south, some of us have had to endure a whole inch of snow (I think it was late October/early November). Two years back we did get a very heavy fall in April, so I won't consign it to the back of the garage just yet. While you are probably 'sunning' yourself, down there in the tropical … While you are probably 'sunning' yourself, down there in the tropical south, some of us have had to endure a whole inch of snow (I think it was late October/early November). Two years back we did get a very heavy fall in April, so I won't consign it to the back of the garage just yet. So comforting to see the weather experts who predicted back in November that this would be a record terrible winter with lots of snow, have got it all spot on again!! Wow! How on earth did you manage without this shovel back in November? … Wow! How on earth did you manage without this shovel back in November? ;)So comforting to see the weather experts who predicted back in November that this would be a record terrible winter with lots of snow, have got it all spot on again!! Heavy snow usually comes a lot later than this, so i wouldnt for a moment assume its plain sailing til summer now. That said, i just use a stiff brush for snow. Cant go wrong for £2.50 though, assuming you have somewhere to put it. Here on Merseyside Aldi or Lidl had dozens. Don't know the price but I think I will check to see if they are reducing theirs, too. Thanks OP, have some heat. Feb-April tends to be the danger period for snow. This shovel looks weedy, though. I would rather spend a bit more on something that could cope with compacted snow. Hahahaha. Don't tell me the UK has seen snow recently. We got an hours worth end of November but nothing settled. Anyone know if they have reduced the Telescopic Red ones too? I fancied one for the car. Maybe you should cut back on the All Bran? The comments are worth more a read than the deal! £5 at ASDA Spondon Derby. When do we get to see the eating of the hat Ricky......? No snow where I live!! I changed it to see if anybody was still watching, I'll get the video up soon. Bought a shovel and waited for the snow. When it came first time I used the shovel the metal bar fell off!!! Couldn't have been this one, since it very clearly has a wooden shaft. I think you have joined HUKD to complain in the wrong thread. Jog on!